A “Walking Case Study for Pro-Life”…that’s how I have referred to myself sometimes. Of all the social and political issues, Pro-Life is something that hits close to home for me. My dad even tells that in the delivery room, I was placed in a corner of the room after having the customary post-birth suction, etc, done. I was left alone in that corner and for lack of a better way to put it, I was “given a chance to die.” Now, that was 28 (almost 29) years ago, but the fact remains that a doctor made the decision that my life may not be worth living. Well, obviously I didn’t agree with that decision and even in the delivery room, I had a fighting spirit that wouldn’t give in. 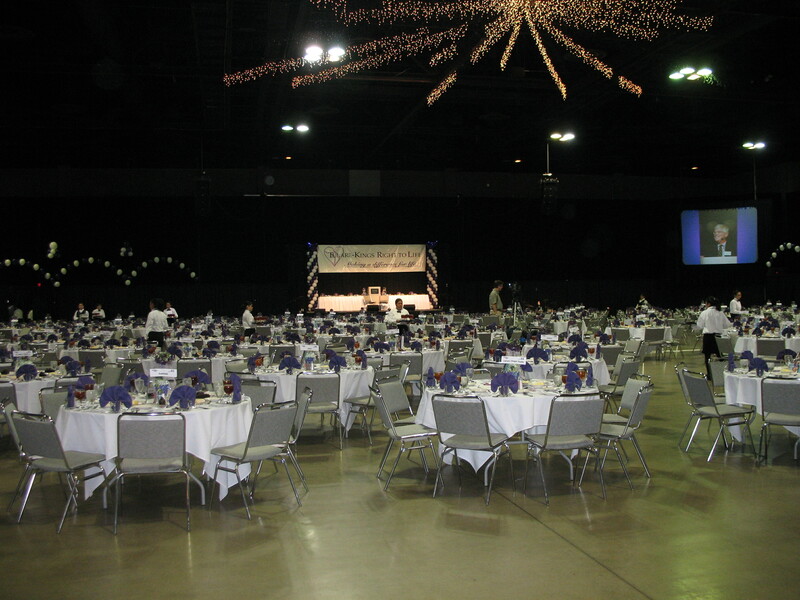 So, 28 years later, I was given the chance to speak to over 800 people fighting for the Pro-Life cause. This past Tuesday evening, my dad and I were in Visalia, CA at the Tulare-Kings Right to Life annual banquet, and we were featured as the keynote speakers. 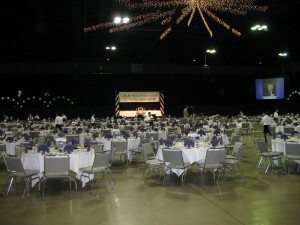 As you can see above, the banquet hall was quite large, and beautifully decorated for the event. 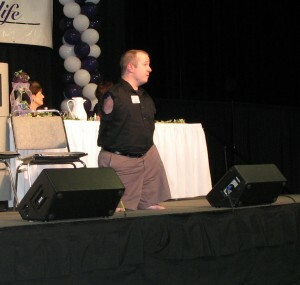 I concluded our presentation, after many stories and life lessons, by issuing a challenge to live a happy, positive life. “If I can do it, so you can you,” I told the attendees. I finished by singing Garth Brooks, “The River,” which is a wonderfully inspirational song about living your dreams. We had a wonderful time in Visalia, CA, and the Tulare-Kings Right to Life organization is to be praised for the work they are doing in helping to educate the public on these important issues.